There is one bookshelf, more than any other, that I’d love to see my books on. A shelf at the Chicago Public Library. 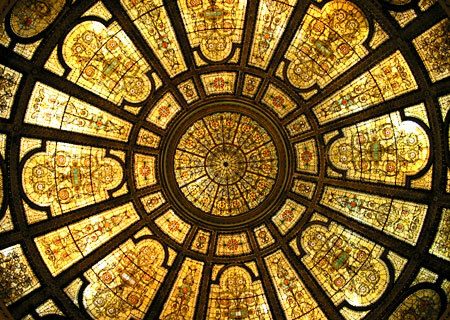 My love affair with libraries started when I was a child growing up in the Chicago and continues today because every city I visit I try to check out the library. The library was a refuge for me. It was a place where I could go and not only feel safe, but I was surrounded by worlds and dreams that at that time I felt out of my realm of possibility. The Chicago Public Library is the public library system serving the City of Chicago. It consists of 79 branches, including a central library, two regional libraries, and branches distributed throughout the city. The American Library Association reports the library holding 5,721,334 volumes, making it the 30th largest library system in the United States by volumes held. The library is the second largest public library system in the Midwest, after the Detroit Public Library. In the aftermath of the 1871 Great Chicago Fire, Londoner A.H. Burgess, with the aid of Thomas Hughes, drew up what would be called the "English Book Donation," which proposed that England should provide a free library to the burnt-out city. Burgess wrote on December 7, 1871 in the London Daily News: "I propose that England should present a Free Library to Chicago, to remain there as a mark of sympathy now, and a keepsake and a token of true brotherly kindness forever..." After circulating requests for donations throughout English society, the project donated 8,000 books. Private donors included Queen Victoria, Benjamin Disraeli, Alfred, Lord Tennyson, Robert Browning, John Stuart Mill, John Ruskin, and Matthew Arnold. 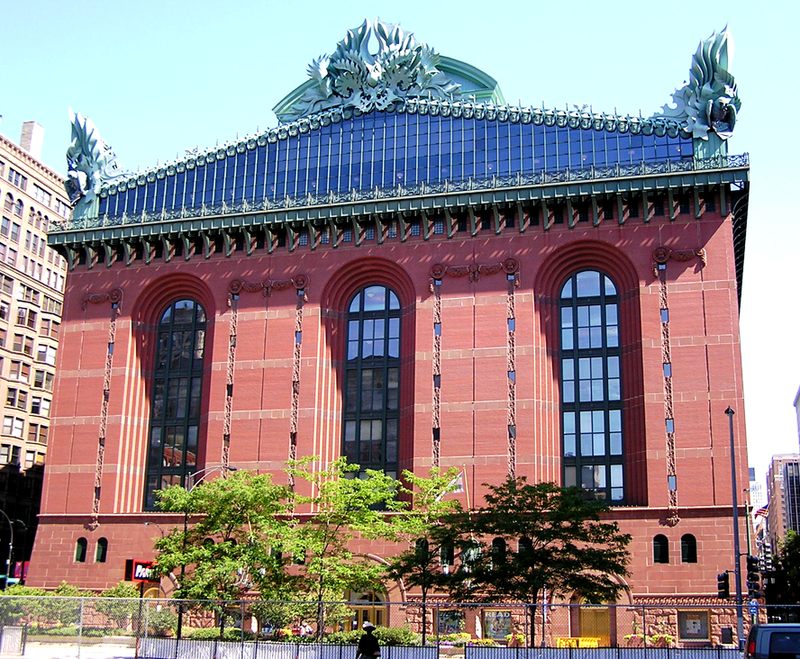 Chicago city leaders petitioned Mayor Joseph Medill to hold a meeting and establish the library. This led to the Illinois Library Act of 1872, which allowed Illinois cities to establish tax-supported libraries. In 1897 the Central Library was opened, pictured above. 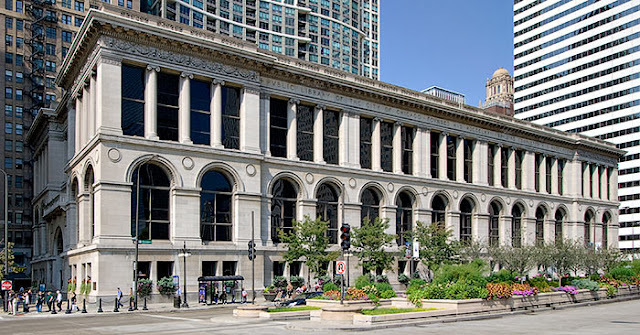 Designed by the Boston firm of Shepley, Rutan and Coolidge in the same neoclassical style as their design for the Art Institute, it was located on Michigan Avenue between Washington and Randolph Streets on land donated by the Grand Army of the Republic, a Civil War Veterans group. The central library remained at this location for the next 96 years. It is now the Chicago Cultural Center and one of the most beautiful and visited landmarks in Chicago, housing the largest Tiffany’s dome in the world (see below). 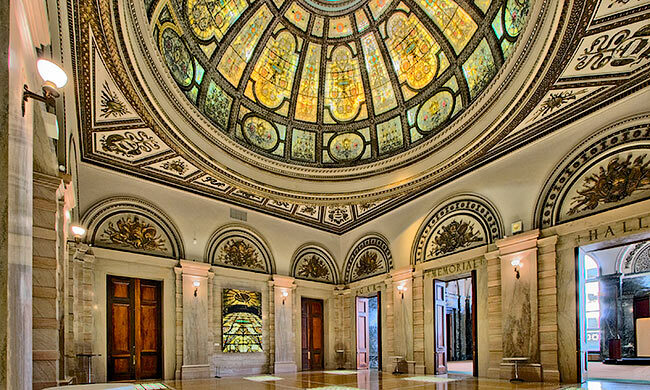 It's free to visitors so if you come to Chicago make sure you put it on your itinerary. If you plan a visit to the city and have a rainy afternoon, plan a stop at both the new and old central libraries. You won’t be disappointed and make sure you check and see if I made it to the shelves because that's where most of my dreams started. I don't have one shelf where I dream of seeing my books. Seems rather sad. I hope you get to see yours in the CPL, Elizabeth.